I am a big fan of .net platform. From the other hand, I like apple devices and do my first steps in discovering unix systems philosophy. Not very long time ago, these two passions were completely separated worlds. They are not anymore! 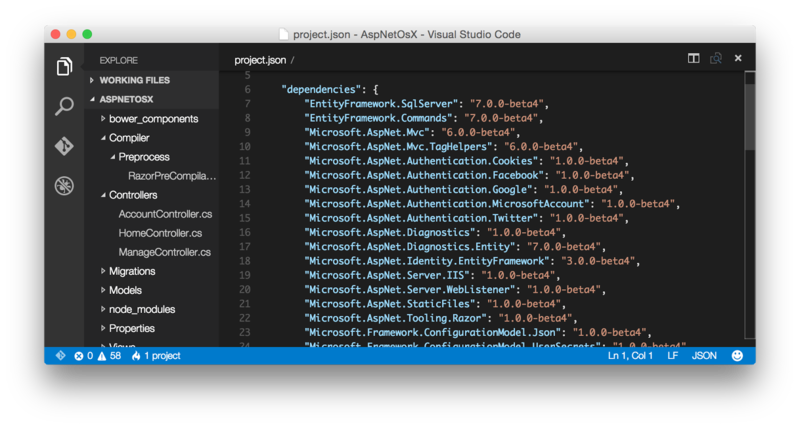 With the announcement of Visual Studio Code on build conference it is finally possible to run .net applications on mac using full Microsoft technology stack, from .net libraries up to code editor, I decided to finally give it a try. Below my experience of setting things up and getting a web server running asp.net 5 application on mac os x machine. I bumped into some caveats and I hope my experience could save some time to those who decide to get a hands on experience of new tech as soon as possible. To get everything up and running you need to do several things. 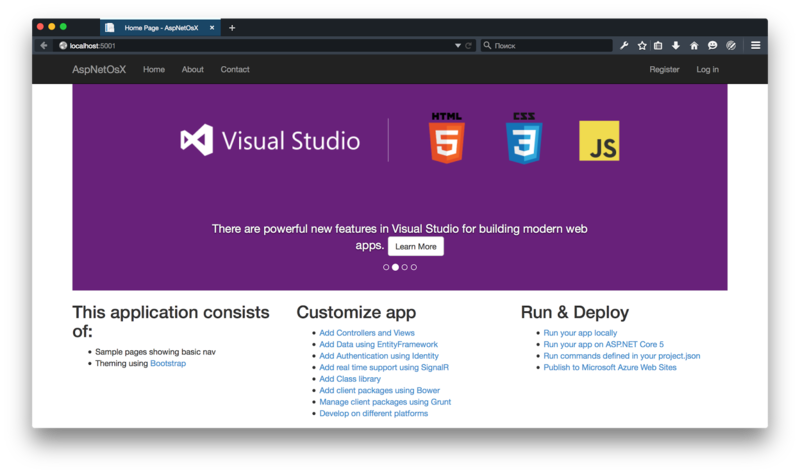 The easy part is get an editor - just download it from Visual Studio Code site. 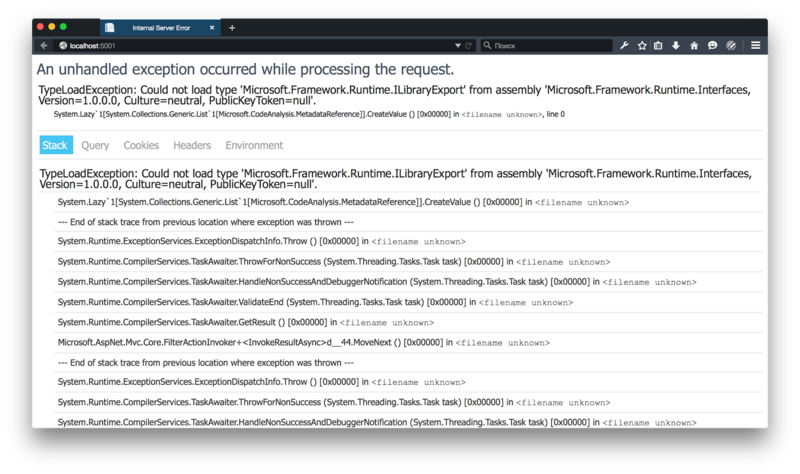 If you are used to MS VisualStudio integrated experience, you have to forget about it. You will have to do many things manually using the terminal. If you see a version number, you are good. If not - just follow this guide. By that time you should have npm and HomeBrew installed and we can move on. and choosing WebApplication template from the list. Now dnvm command should be available and you are ready to build and run your generated asp.net application. 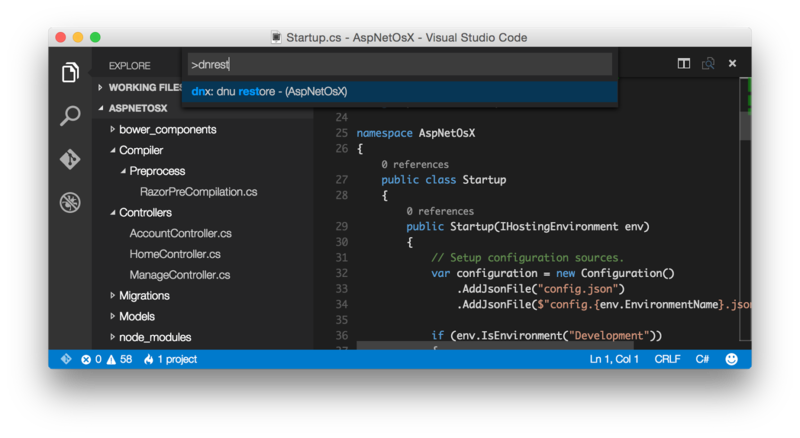 In order to run the asp.net application, navigate to the folder with a generated application via terminal, or open this folder with Visual Studio Code application. Now we can use some GUI at last! Hit enter and wait for dnu to restore the packages. A terminal window will open and restoration process will start. It will take a while the first time, so you can literally go and get some coffee now. Note that you can achieve the same thing using only a terminal - just run the same dnu restore command. Mind the dot there, it is important part of a command. If you see no error messages in your terminal - congrats! You now have an asp.net application running on your mac, fantastic isn't it? Except that you probably do not. Check if everything is alright by visiting localhost:5001 in your browser. 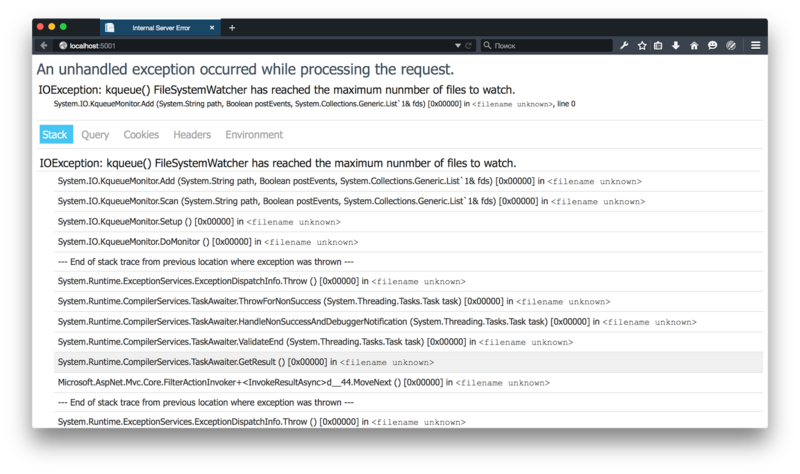 IOException: kqueue() FileSystemWatcher has reached the maximum nunmber of files to watch. By the way, if you like me wonder how to stop a kestrel server as an common control+c shortcut doesn't work with it. Just hit Enter key in the terminal - as easy as that. So, stop the server and run the export command. Now everything should be fine - just start a kestrel again. Except it may be not! I had the 1.0.0-beta5-11657 version as active and default. Use command switches an active environment, and -p flag also makes the new environment the default one. So, everything seems to be ok. Take a deep breath, start kestrel again, reload the page and... boom! I have a web server running asp.net application on my mac! That's just so awesome. Wonderful things are happening. Can't wait to get my hands on actual coding with new Visual Studio Code editor and further discover the features and caveats of cross-platform .net development, where cross-platform finally means exactly that, and not the fact that your application will run on different windows versions. Cheers!